After last week’s episode of Arrow, I’m working through my feelings by looking at some of the all-time best female characters from superhero shows. Check back every day for the latest installment in my top 50 and let me know your own picks! Valentina Vostok was DC’s Legends of Tomorow‘s first memorable guest villain and helped define the show’s tone early on. She’s a classic villain: an ambitious Soviet scientist determined to make a nuclear weapon out of Firestorm. Tatsu Yamashiro leads the Outsiders with decisive actions and few words. Hers is an inspiring story of survival and sticking up for yourself in the face of oppression. Maria Hill is an incredible S.H.I.E.L.D. agent who just wants to do her job while the Avengers insist on being a real handful. Things may not have worked out between Linda Park and Barry Allen romantically, due to him being completely hung up on a certain reporter, but she quickly proved to be a great character regardless of her status as a love interest. She’s a mentor to Iris West at the newspaper and an incredibly brave woman who faced a terrifying villain without any superpowers to protect her. Jeri Hogarth stands out in the world of superheroes because she’s firmly not a good person without being a villain either. Her cutthroat selfishness can be horrifying and painful to watch, but the most painful thing about her is that, even at her worst, she resonates as a realistic character. Tatsu Yamashiro’s story is one of the most compelling and tragic stories on Arrow. When her husband Maseo Yamashiro joined the League of Assassins and had no way out, she had to kill him, in an emotionally brutal moment. Amanda Waller is one of Arrow‘s most memorable and formidable villains. She was the director of A.R.G.U.S. and put the Suicide Squad together. Thanks to her ties with Oliver Queen, John Diggle and Lyla Michaels, she’s not always strictly aligned with evil and is a great example of the grey area this show’s characters often occupy. 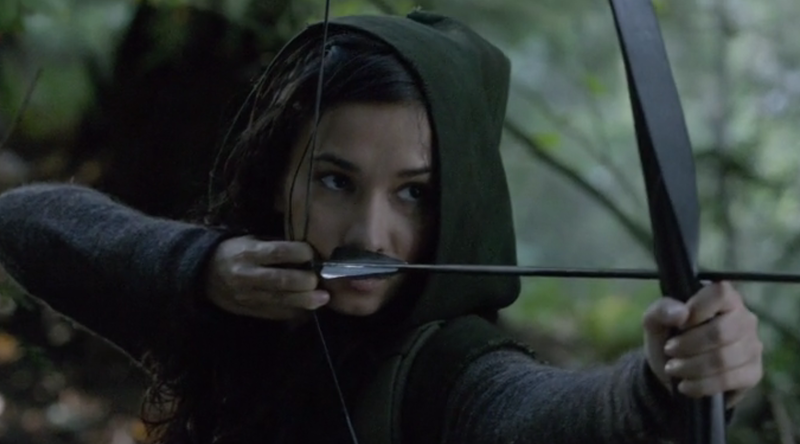 It was Shado that kept Oliver Queen human during his time on the island. She not only reminded him of the importance of hanging onto the light and heroism inside, but was also the person who taught him archery, making her a huge part of his transformation in the Green Arrow. Tess Mercer was the illegitimate daughter of Lionel Luthor and she displayed plenty of the ruthless and manipulative traits of a Luthor. But, ultimately she had the truest redemption arc on the entire show. This version of Lois Lane captured what an ambitious reporter she was, in addition to being the love of Clark Kent’s life. She often wrestled with what it means to be in love with a hero, but ultimately realized that her love was a huge part of what made Superman a hero.